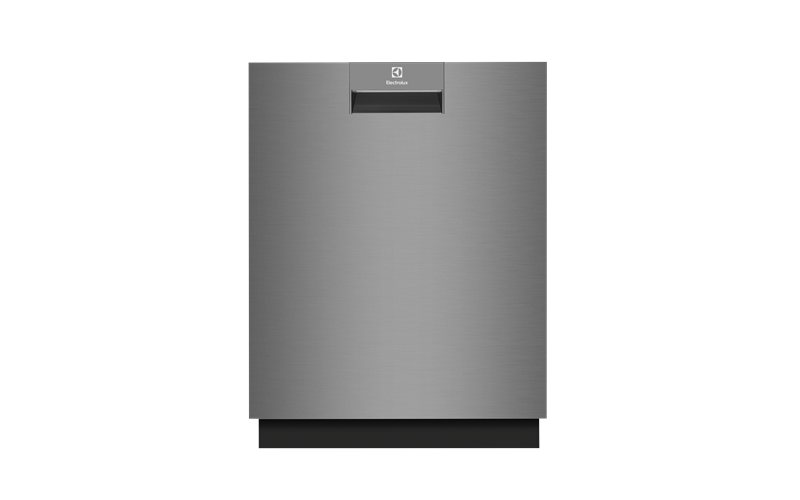 60cm built-under dishwasher with ComfortLift™, finished in mark resistant dark stainless steel. AirDry technology, light beam on floor indicator and 14 place settings. 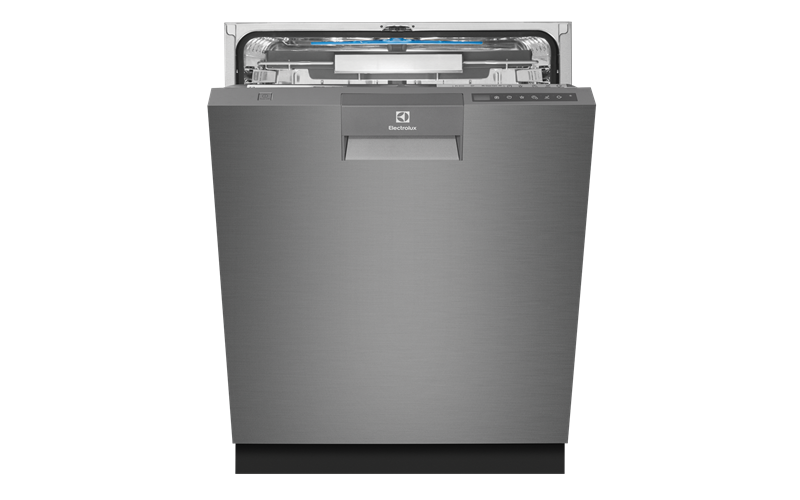 Enjoy the peace that comes with an ultra-quiet dishwasher. With a whisper-quiet 44dBA operation noise level, you can wash your dishes at any time convenient for you. The Inverter Motor is also extremely durable and long lasting. Achieve outstanding results with our FlexiSpray arm and five spray levels. Unlike traditional spray arms, ours moves in multiple directions, reaching even the most crowded area to ensure all of your items are impeccably clean, no matter how they are loaded. With 25% more capacity than an average dishwasher, RealLife can accommodate even your most unusually shaped dishes. Enjoy complete cooking freedom using whichever utensils, pots and serving platters suit your culinary creativity knowing everything is loaded into RealLife will be cared for. Ensure your dishes are dry when you're ready to put them away. Our new AirDry technology automatically opens the door by 10cm towards the end of the cycle, and the door stays open until you're ready to unload. This ensures a natural way to get maximum drying performance while effectively reducing your energy costs. As gentle on you as on your dishes, the world's first ComfortLift™ raises your dishwasher's lower basket to a comfortable height making it easier to load and unload. It then descends in a gentle motion to ensure your dishes are always cared for. The FlexiWash program uses different settings for the upper and lower baskets, so you always get the best results for each item, even if its a mixed load. Designed to complement your busy lifestyle, the new TimeSaver option puts you in control. You can cut the length of selected cycle times so that your dishes are ready at a time that suits you. You can also wash a full load in up to 50% less time with the Eco, FlexiWash and Intensive programs. This handy option increases the pressure and the temperature of the water to ensure fabulous wash results every time.